As a Canadian living in Colorado, do you have questions about taxes and immigration? How to manage your investments and bank accounts in two countries? 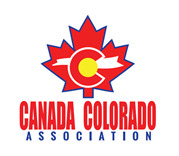 Join the Canada Colorado Association for a special seminar on cross-border issues. This program features four speakers with expertise on Canada-US cross-border wealth management, cross-border banking and immigration and tax issues. The event will be held at the Canadian Consulate, and is an excellent opportunity for you to learn about consular services for Canadians in Colorado. The presentations will be followed by a question and answer session and an opportunity to individually ask the experts specific questions. RSVP: Space is limited for this popular event. Please register online early to guarantee your spot!